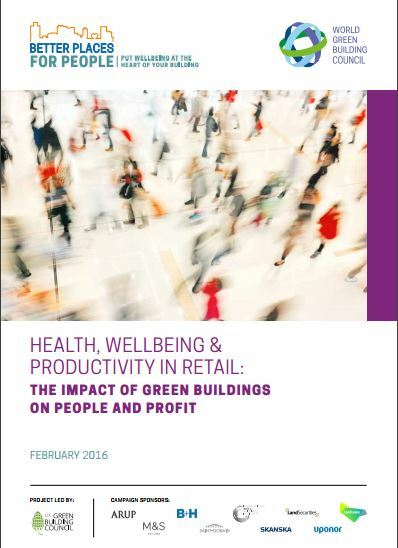 World Green Building Council releases new report on Health Wellbeing and Productivity in office buildings. 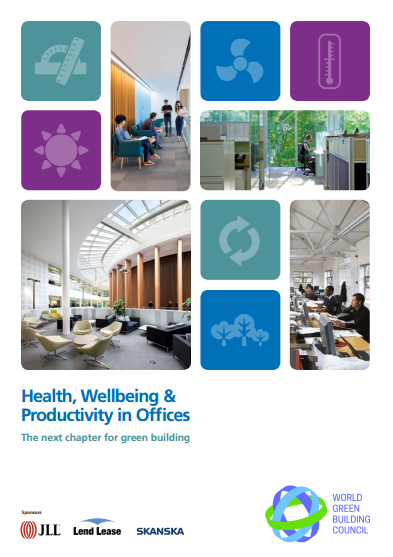 Employers, building owners, designers, developers, and investors throughout the world are learning, in response to an increasing body of evidence, that office design affects the health and wellbeing of occupants in many ways and so it is a smart business move to create green buildings that are healthy. Staff are the most valuable resource in most organisations, typically accounting for 90% of business operating costs, so even a 1% improvement in productivity can have a major impact on the bottom line and competitiveness of any business. Building developers, owners, and investors are also discovering the business value of delivering to their markets healthy, green buildings. 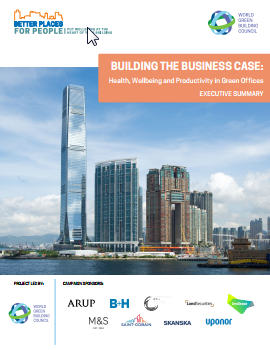 This report, Building the Business Case: Health, Wellbeing and Productivity in Green Offices, shows the global momentum behind green buildings that are healthy and marks a significant milestone in our Better Places for People campaign. It provides best practice examples of healthy, green offices, showing that employers who care about the environmental impact of their buildings as well as the health and wellbeing of their staff, and take action to improve the quality of the workplace, are rewarded by improved productivity and loyalty, which can be worth many times more than their investment. The report can be downloaded here.